The last State of European Tech Report ( by Atomico) offers an unrelenting warning on Italy. Despite its $1.85T GDP, the country has not yet been able to generate a venture ecosystem compared to its true potential. It has invested only $3/capita (vs. $123 in Sweden and $45/capita in France). VC investments into Italian startup are not booming. They are rather decreasing. In 2017, Europe has invested over 17 billion € while Italy is barely able to reach 130million €. This yawning gap relies on a low prevalence of VC operators and smart capital available. Also, it is due to an ecosystem in search of its own identity. This does not mean that Italy is bound to play a minor role. The Italian Government has created a long-standing commitment to generate favorable conditions for the establishment and development of innovative enterprises. This means to contribute significantly to the economic growth and employment of the nation. This is one of the big paradoxes of the Italian ecosystem: such legislation has contributed to lay the foundations for a new ecosystem composed of +8.000 startups. In the meantime it has not been able to fuel the system with capital towards the startup community. Thus, Italian startups struggle to raise funds and turn their project abroad. Thanks the fiscal leverage that is a key to support investments, new public initiatives are flourishing in Italy. At national level, Invitalia Ventures managed a € 87 million-sized co-investment fund dedicated to early stage companies. Such fund received subscriptions from a mix of smart capitals starting from the Ministry of Economic Development, the Europe Investment Bank and Cisco Group. The Cassa Depositi e Prestiti (CDP) also plays a crucial role to revitalize the VC industry. 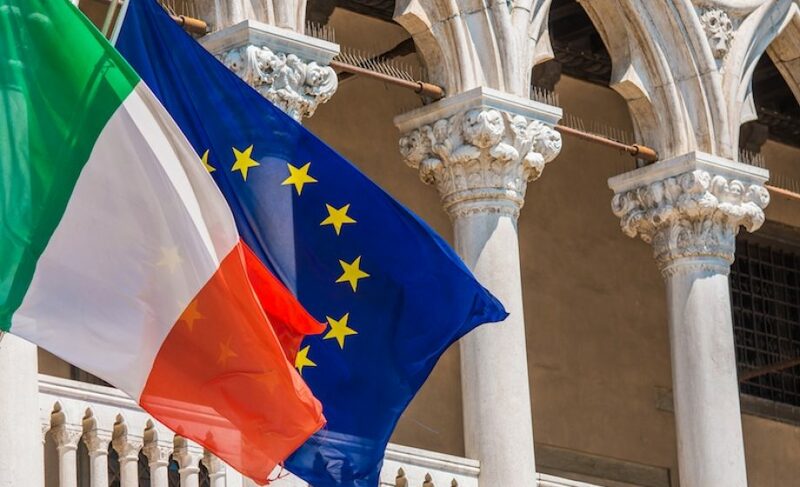 Several funds have been implemented alongside the financial supply chain of innovation such as ITAtech Fund, a € 200 million-sized investment platform supporting technology transfer in Italy (in cooperation with the European Investment Fund) and the Tech Growth Fund (€ 150 million) that invests in late stage companies. Which city will become the main Tech Hub in Italy? The Regions have also taken part to the VC recovery. A great number of initiatives are spreading across the country, including the one promoted by Latium Region that has recently launched FARE Venture, a €80 million-sized fund of funds dedicated to local startups. The project is quite ambitious since Rome is aiming to compete with Milan as the main tech hub in Italy. Over € 500 million have been put on the market to fuel the innovation ecosystem and make a decisive leverage effect on the market. Although the financial part is one of the most important pillars of growth for promising startups, the development of a structured and connected ecosystem is equally important. Italy has undertaken great efforts even though some corrections are still needed. The emergence of high-level incubators and accelerators is a key element for a healthy and stimulating contamination within the innovation ecosystem. How can we not mention Luiss Enlabs, one of the biggest European accelerators? Its 5.000 sq.m accelerator is located in the hearth of Rome. Other VC accelerators like PI Campus, H-Farm (the Tuscany based startup studio Nana Bianca) and lastly Cariplo Factory aim to become the Hub of open innovation connecting startups with corporates. Italy would gain more visibility if its ecosystem were more structured. It would be useful to refer to foreign models, such as the French one. There, many regional public incubators and accelerators offer state-of the-art services to the startup community. They also have a wide range of private initiatives coming from banking operators such as Credit Agricole (+25 interconnected Village by CA across the country) or vertical incubators linked to Business Schools and Large Corporates. Moreover, France has recently developed the French Tech, a label that provides a single, unified voice to promote the tech industry worldwide. Let us mention that Milan has already been recognized as the local tech hub since November 2016. This initiative means to strengthen the cooperation between the French and Italian ecosystem. But it can also be seen as a stimulus to turn the current local ecosystem into a pool of talents and innovative projects ready to shine in Italy and abroad. The year 2018 shall therefore become a turning point for the Italian VC industry.